Are you planning to enhance the beauty of your kitchen with countertops? If yes, Granite Nations is here to design, build and install new countertops and cabinets in your old kitchen to make it appear new and spacious. We are your local company for granite countertops in Ajax. For past many years, we are assisting our residential clients in owning a luxurious kitchen and bathroom with quality granite installations. Why Should You Install Kitchen Cabinets? A new cabinet not only improves the looks of a kitchen but also increase the storage space, thereby adding value to your home. Our cabinets installers are skilled to install custom kitchen cabinets in Ajax that are designed to suit your lifestyle. No matter, you are on a low budget or a higher one, we have a collection of superior and durable materials which fits your budget. 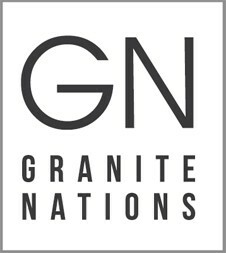 At Granite Nations, our experts not only design and build but also help you in choosing a perfect addition to your kitchen. All our products are of high quality, finish, colour and texture. Shop Our In-store Selection Of Cabinets & Countertops Today!